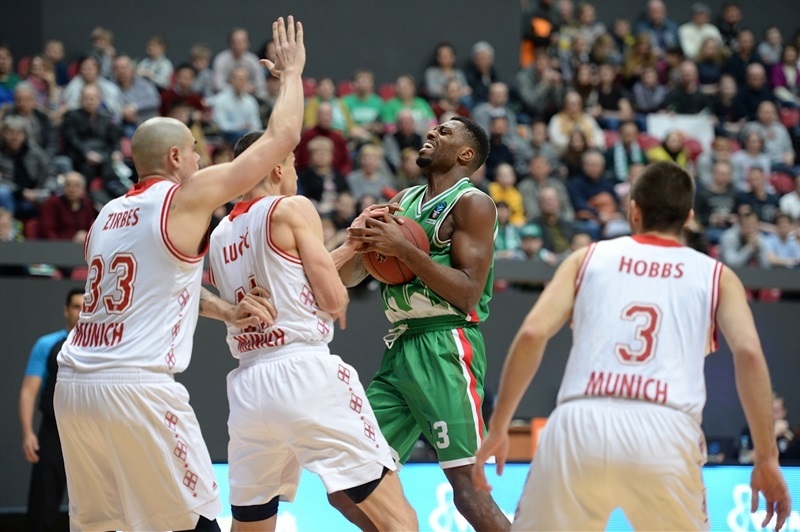 UNICS Kazan forced a decisive Game 3 in its 7DAYS EuroCup Quarterfinal showdown with FC Bayern Munich by coming back from a 12-point deficit to seize an 80-73 victory in Game 2 at home. 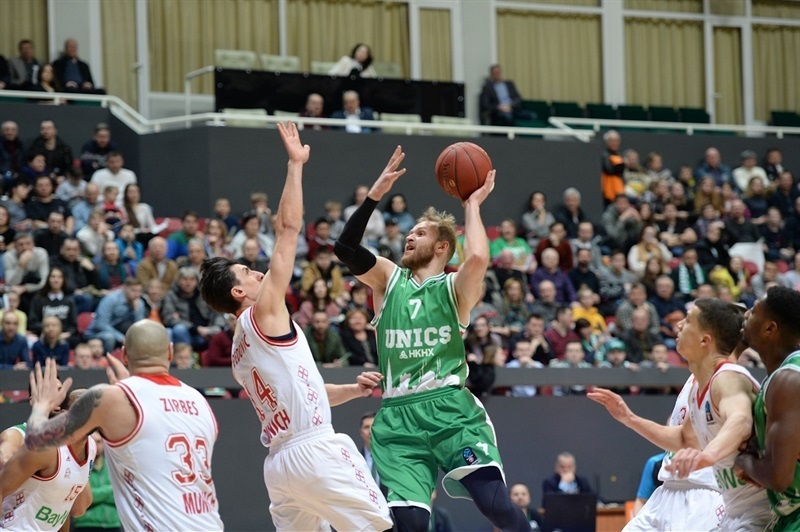 Quino Colom led the way for UNICS with 15 points and 6 rebounds while Trent Lockett tallied 14 points. 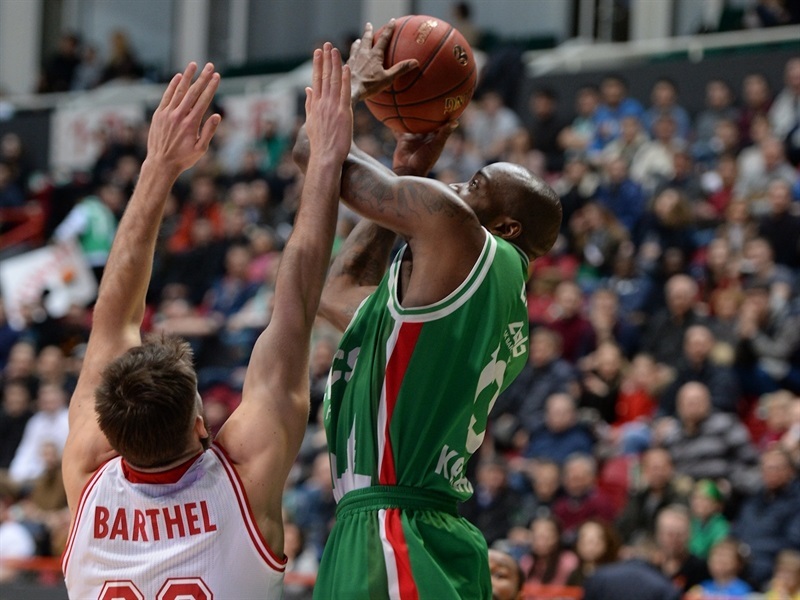 Stephane Lasme collected 12 points, 7 rebounds and 4 blocks. 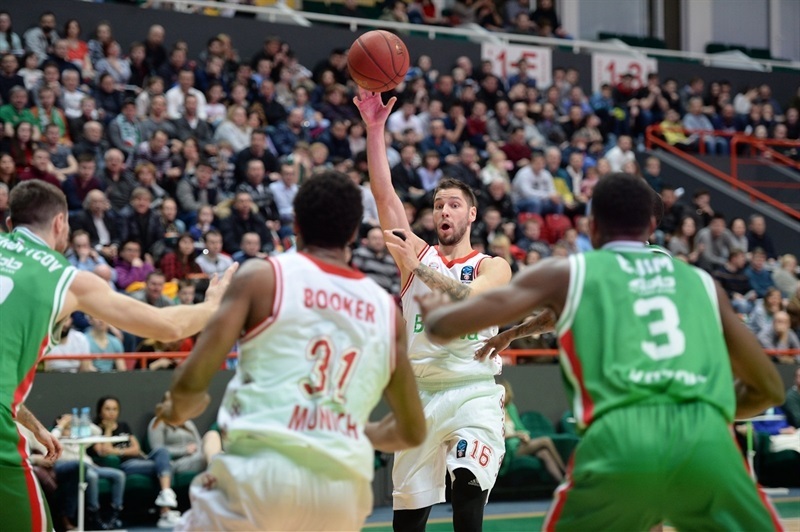 The UNICS victory means that the teams will square off on Wednesday in Munich in Game 3 to decide which side reaches the semifinals. Bayern got a career-high 29 points from Devin Booker while Vladimir Lucic scored 10. Bayern made a perfect 21 of 21 free throws, which matched the second-best perfect total in EuroCup history and the best without misses this season. But the visitors made just 2 of 18 three-pointers in failing to hold their big advantage. 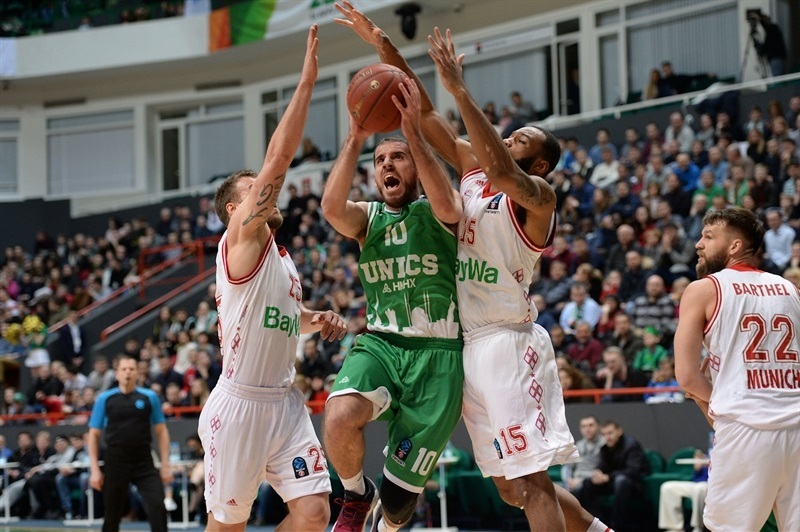 Lasme opened the scoring and Colom converted a three-point play as UNICS went up 7-0 after tipoff. Jared Cunningham's jumper finally got Bayern on the board after more than 2 minutes. Booker picked up 7 straight points in pulling Bayern to within 10-9 and Reggie Redding's three-pointer evened the score at 12-12. Bayern grabbed its first lead, 14-16, on a jumper by Lucic and the visitors were up 16-22 after 10 minutes. After Braydon Hobbs pushed the lead to 14-24, a put-back from Evgeny Kolesnikov cut the gap to 20-24. 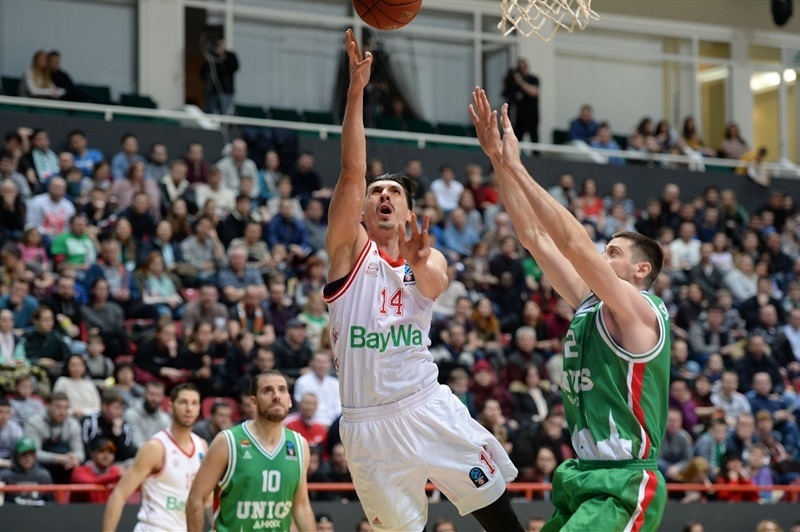 Nihad Dedovic tallied 5 straight points at the other end, however, as Bayern's margin grew to 22-31. Lucic converted a three-point play and Booker downed a pair of shots that put the German side up 28-40. Booker hit 17 points in total in the first 20 minutes, which ended with Bayern ahead 30-40. After UNICS missed all 9 of its three-point tries in the first half, Colom and Melvin Ejim went back-to-back from long range to start the third quarter by trimming the deficit to 36-40. Cunningham answered with 4 points and an assist as Bayern's lead grew back to 10 points, 36-46. 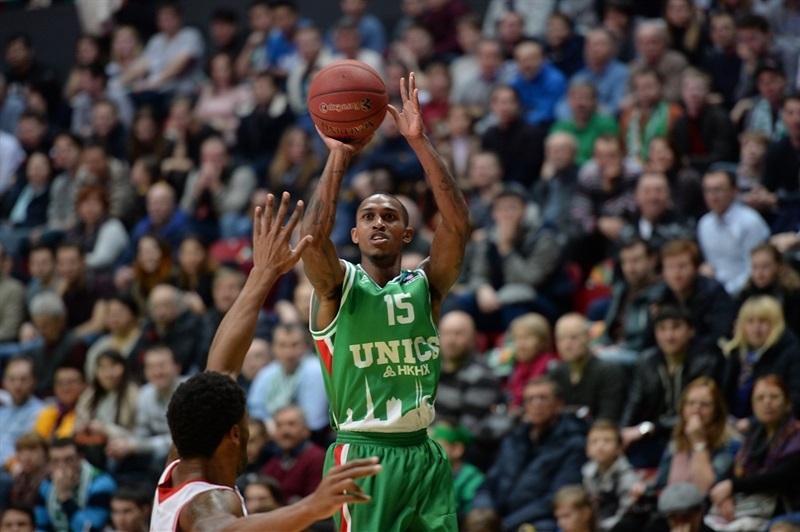 UNICS punched back with the next 8 points, including 4 from Lockett, as Ejim evened the game 48-48. Vladislav Trushkin's offensive put-back put UNICS back ahead 52-50 and the lead was 54-52 after 30 minutes. Colom hit another three-pointer early in the fourth to extend the lead to 59-54. 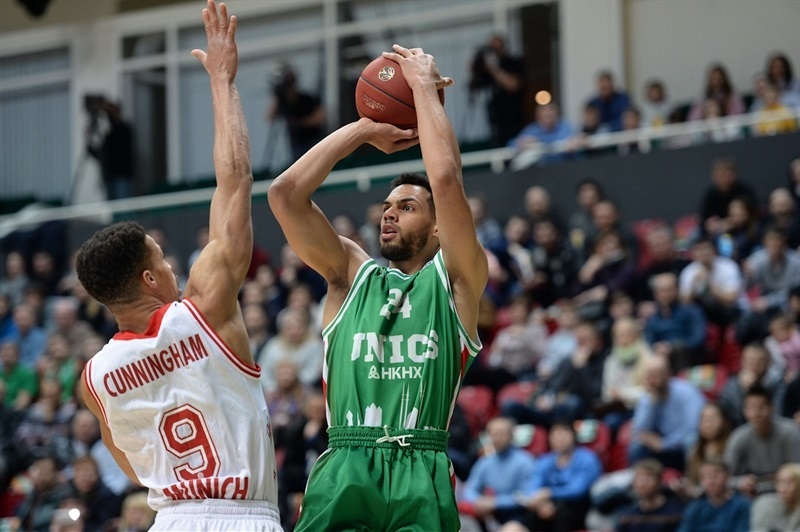 Despite 4 points from Dedovic for Bayern, the UNICS cushion was 64-58 after a three-pointer from Kolesnikov. Colom added 2 more scores and Jamar Smith's triple pushed the gap to 71-63 with 3 minutes to play. 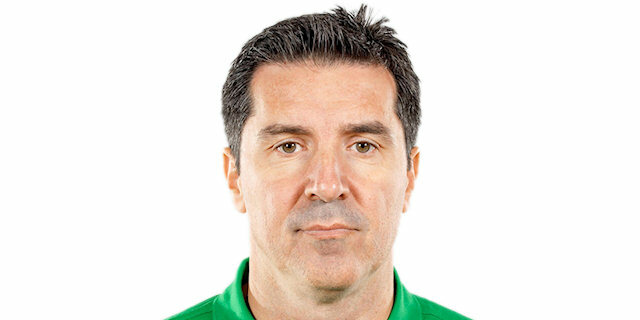 Lasme had put UNICS up 75-65 with just 1:20 minutes left but a dunk and free throws by Booker around and a steal-and-layup by Hobbs made it 75-71 with 35 seconds left. 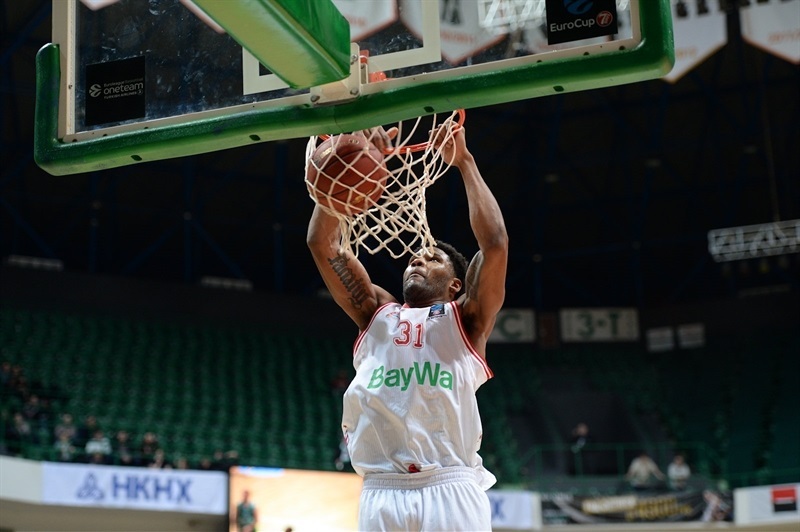 Colom and Lockett came to the rescue, making 3 of 4 free throws to ice the game and send the series back to Munich. "I think in the second half we put our minds to playing defense, help defense. We had a different approach to the game. We stopped worrying about offense and focused more on defense, playing full court. And that helped us offensively because then we scored some easy baskets."